(^_^)/ Hai how are you all doing? So sorryyyyy if im nost active posting for a long time! Im kinda busy with all my job & family things, I also more active writing food recipe on my main blog *you must visit my main blog to check delicious recipe from me!*. Plus my camera is broke (>_<) I can only take a photo from my 'bad quality' phone camera. Actually I have a lots skin care, cosmetics & other beauty stuff to review but I have not had enough time to try the product. Sooooo all the stuff still stored neatly in my closet & still in the shopping bag! hehehe. 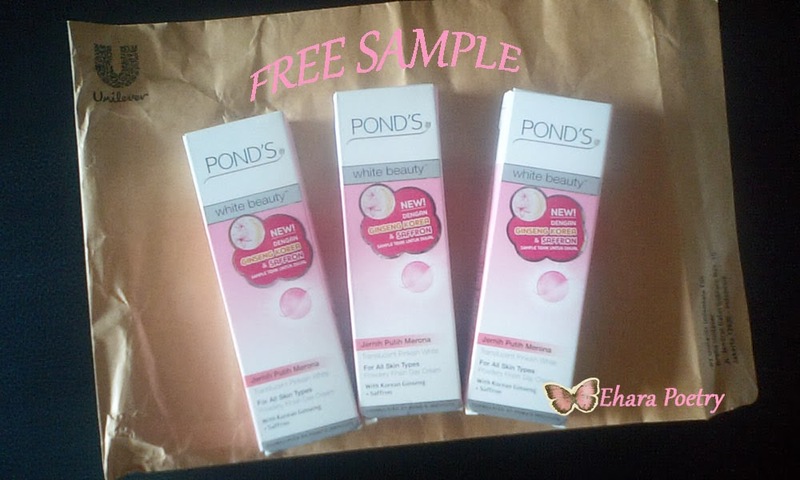 While waiting I have time to review a product, I wanna share about my gift haul! 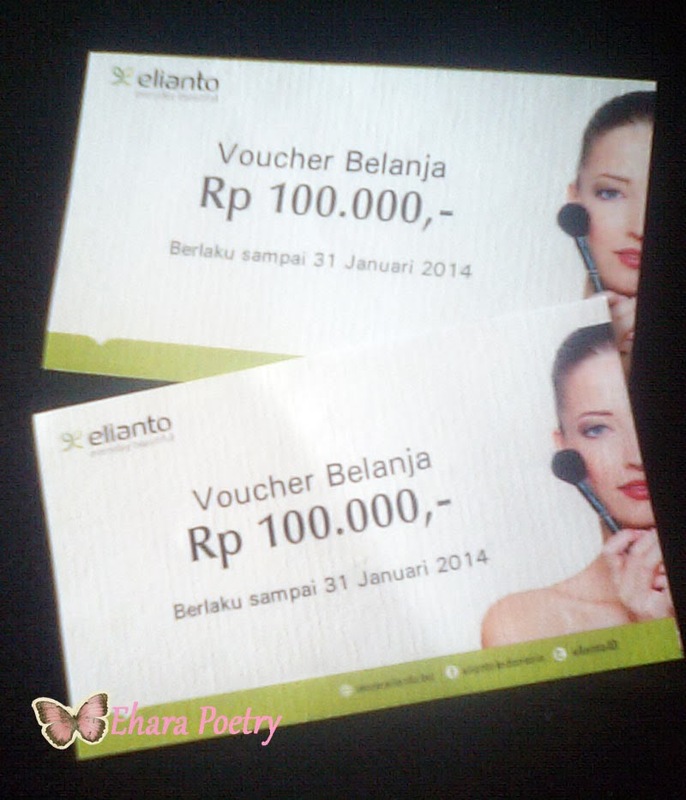 This is all gift I got from winning contest or giveaway, I win many contest last year (on november-december 2013) but the prize is just arrive recently. And here is all the gift I get.. 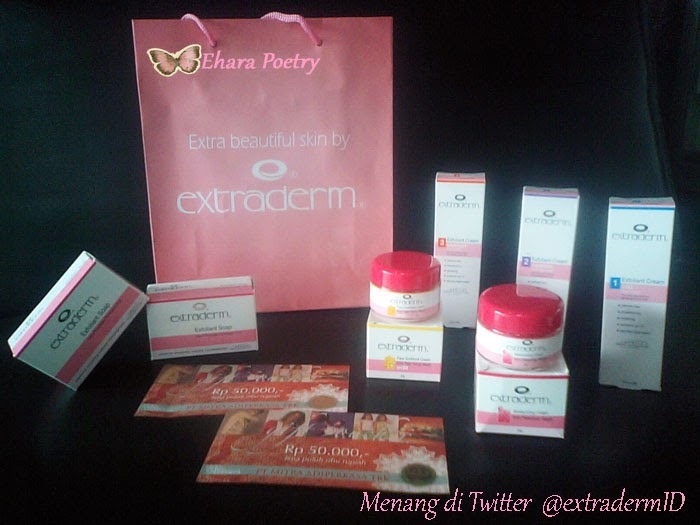 I win mother day quiz on Extraderm Indonesia twitter page, the prize is a set of skin care products from Extraderm plus a shopping voucher worth 100.000 IDR. This is all the gift I got from Whileyouonearth.blogspot.com, the blog holding big christmas giveaway with a lots prize from many brand. 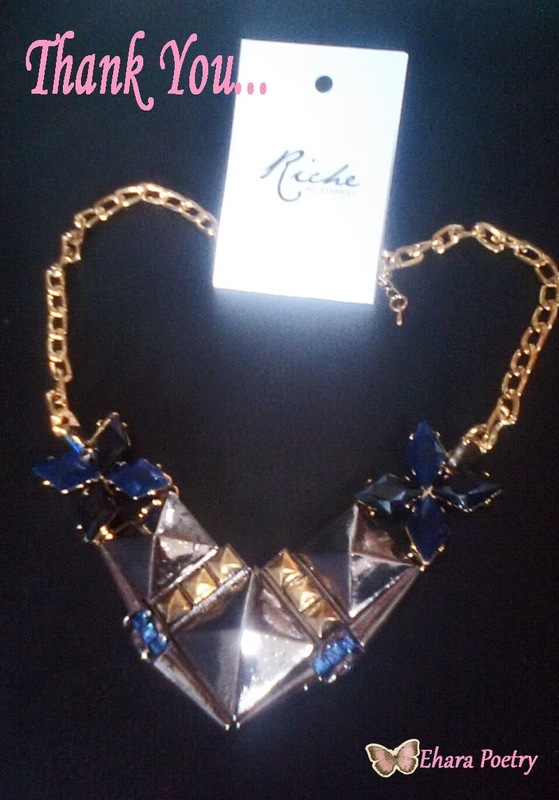 I win pretty necklace from Riche accessories & voucher from Elianto. 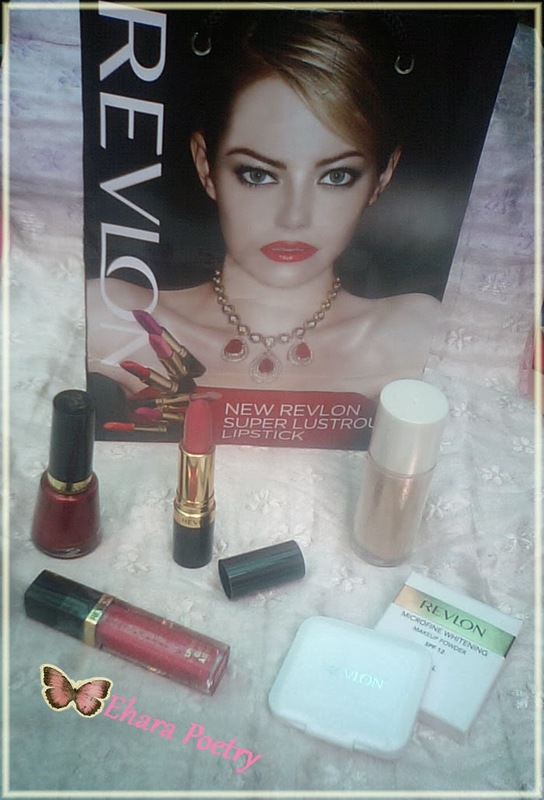 I waiting 2 month for this gift, this is from winning Revlon GlamouRED Liptionary contest. I really looove the prize, is very complete! The cherry nail polish is sooo pretty, but actually the lipgloss & lipstick is pink, bad lightning makes them looks like in a red shade. 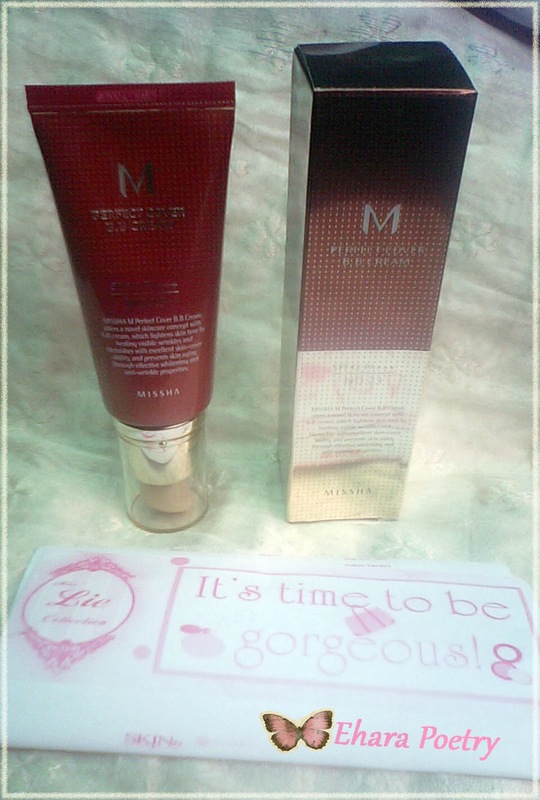 I will review all the product in here but I must wait until my camera repaired or I must borrow my cousin camera, hehe. Wow you are so lucky to win all these sweet giveaways! What a wonderful way to start the year to get so many lovely things. Enjoy!